Today I’ve been uploading more vintage treasures to our Etsy store – including this 1960s framed print found recently on a visit to Stockton-on-Tees. 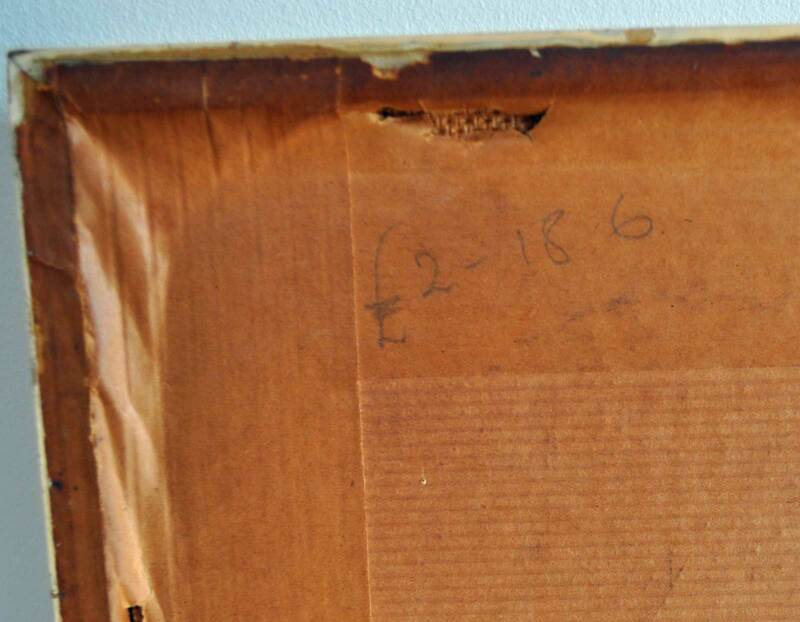 The original painting was done in 1964 by the Spanish artist Rosy Fernández-Díaz (b.1935 – is she still alive? ), whose work is not especially celebrated or popular – with the exception of her sentimental 1960s paintings of clowns. 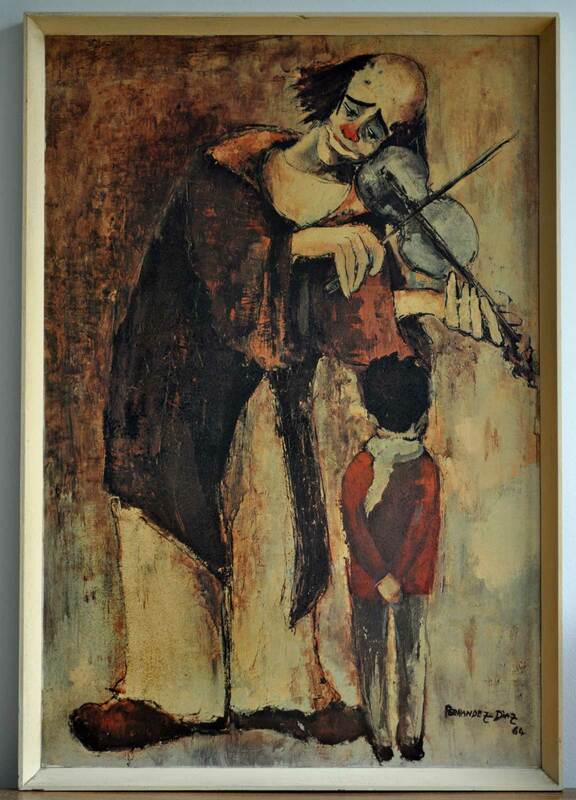 This one – titled Clown Met Kind – is one of the best known and it’s a very collectable piece of mid-century kitsch. 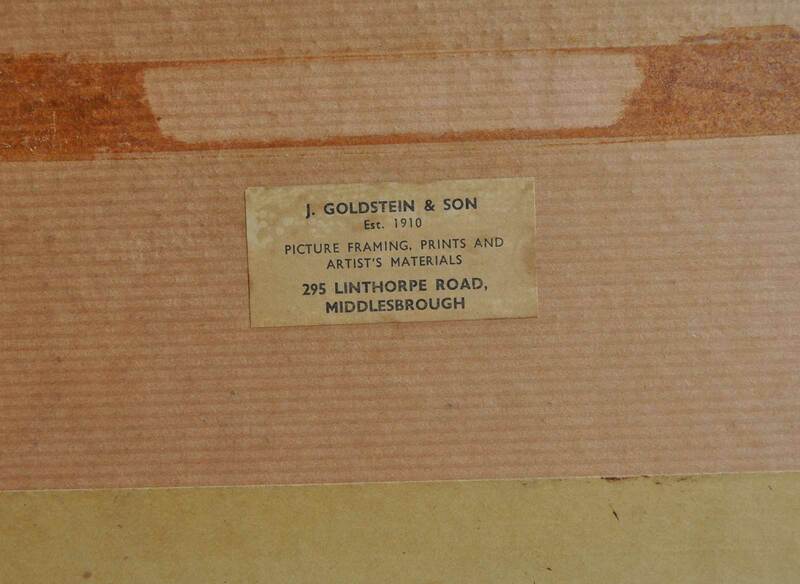 What’s really fascinating about this piece is that on the back it has the label of the original framer – J Goldstein & Son of Middlesborough – plus the original 1960s price – £2.18s & 6d. There is a tendency to think that people who collect these kinds of vintage mid-century prints which were ,as Wayne Hemingway said, hung just above the mantelpieces of thousand or ordinary homes – pictures much loved by their owners, but deemed barely worthy of a sneer by contemporary taste-makers – were “cheap trash” in the 1950s and 1960s and are now greatly over-valued by dealers flogging them to loaded hipsters. However, the Teeside art lover who handed over £2.18s & 6d for this framed print in the 1960s was spending roughly the equivalent of £50 today – so it wasn’t exactly a Woolworths-style purchase back then – and today we’re not, relatively speaking, over-pricing it at £45 in our Etsy shop (hello loaded hipsters!). And if, like us, you like this kind of thing, you might also want to check out this, and this… not to mention this! This entry was posted in New in our Etsy shop and tagged #1960s, #Dallas-Simpson, #Fernandez-Diaz, #Kitsch, #MidCentury, #Print, #Tretchikoff, Art, Etsy, painting, Wayne Hemingway. Bookmark the permalink.